Flat for sale, Doncaster flats for sale, Doncaster rooms to let, doncaster rooms to let, doncaster, properties for sale, Doncaster sale properties, Property in Doncaster, selling in Doncaster, for sale in Doncaster, Properties for sale, House for sale, sell homes, Property for sale, 2 bedroom properties for sale, Flats Doncaster sales, property for sale in Doncaster, flats sale, sell a property, flat to sell, houses to sell, properties to sell, flats & houses for sale, properties to sell, cheap flats to sell, property estate, houses for sale, sell property, homes 4 sale, sell property, uk properties to sell, homes for sale, homes for sale, 1 bedroom property for sale, property to sell, estate property to sell, properties to sell in doncaster, 2 bedroom properties to sell in Doncaster, property estate agency, properties to sell, a flat to sell, to let rent, studio flat rent, bedroom for rent, rental properties for rent, flats Doncaster sales, buy property, house share rent, room 2 rent, rent to let properties, for rent house, rental homes for rent, for rent flat, housing house for rent, flat rental, rent rent rent, landlord flat to rent, apartments for rent for rent, Rightmove, doncaster, Zoopla sales doncaster, Doncaster sales properties, Sell my property, 2 bed house for sale, rooms to rent, rent and rental, studio room for rent, to sell a house, Doncaster sales property, Rotherham sales property, Barnsley sales property, landlords, Estates agency, flats to rent, property for sale, property management, Estate Agent in Doncaster, Estate Agents in Wheatley, Estates Agents in Warmsworth, Estate Agents in Sprotbrough, Estate Agents in Balby, Estate Agents in Intake, Estate Agents in Wheatley, Estate Agents in Wheatley Hills, Estate Agents in Armthorpe, Estate Agents Branton, Estate Agents in Edenthorpe, Estate Agents in Kirksandall, Estate agents in Belle Vue, Estate agents in Bessacarr, Estate agents in Cantley, Estate Agents in Belle Vue, Estate Agents in Warmsworth, Estate Agents in Arksey, Estate agents in arksey, estate agents in barnburgh, estate agents cusworth, estate agent,scawthorpe, estate agent in scawthorpe, Estate agents in adwick lee street, estate agent askern, estate agent campsall, estate agent in carcroft, woodlands, estate agent in bawtry. estate agent in tickhill, estate agents in carrhouse, estate agents scawsby, estate agents in yorkshire, best estate agents in doncaster, top estate agents in doncaster, best agents in doncaster, who is the best estate agent in doncaster, doncaster best estate agents. doncaster estate agents,sell my home in doncaster, who sells homes faster, homes for sale in doncaster. no1 estate agency. Check out the largest review site for Estate Agents https://www.allagents.co.uk/view-branch/247-property-services/doncaster/ and see why customers love working with us so much. 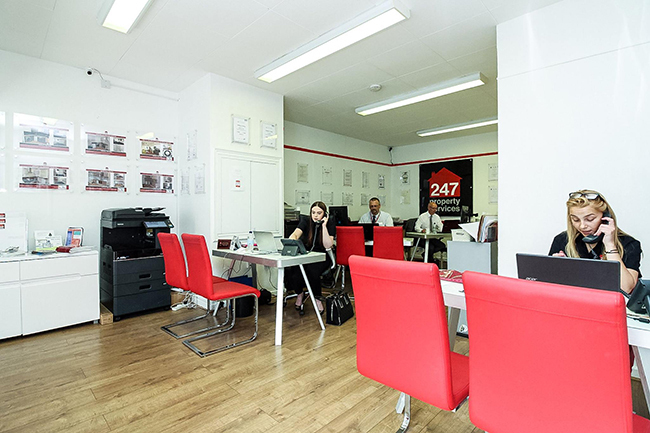 247 Property Services is a family owned Estate Agency with head office in Doncaster, South Yorkshire. We have branch offices throughout the Yorkshire region and East Anglia. We have a simple ethos: customers drive our business forward so, we listen and learn whilst providing a professional, affordable service. We apply "Yorkshire" to everything we do. We are a straight forward, no hassle business and we have kept the same winning formula since 2006. Our Lettings Department is one of the largest and busiest in the region. Currently managing over 1400 properties we achieve what other agencies only dream of - up to 40 lettings arranged per week! Through dedication and hard work, we have built the business over the last eleven years, judging our success by that of our landlords. They truly are our lifeblood and we work tirelessly to ensure both our tenants and landlords are truly happy. Without either, we would not be where we are today, and we recognize that. All our staff are highly trained housing professionals, some have a lifetimes experience within the industry. Our landlords come to us expecting the same treatment as they get on the High Street and leave knowing we are far better. Please, feel free to view all our website pages and our blog that is followed by hundreds of landlords and thousands of tenants. You will also find some interesting videos that explain our raison d'être and our approach in much more detail.